The journey of hope after the murder of a child. A message for the holidays. Sign up here for your FREE electronic version. I will never share your email address with anyone. 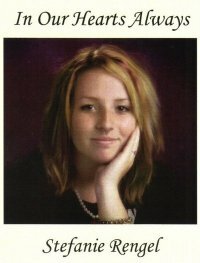 For the tragic story of Stefanie's death, click on Stefanie's picture to be linked to a Toronto Life magazine article.